One of the main features of this website is the Parent page, which holds plenty of useful content to increase engagement. They even use a quote from Ofsted on the Behaviour page that compliments the school on being a safe and welcoming environment. 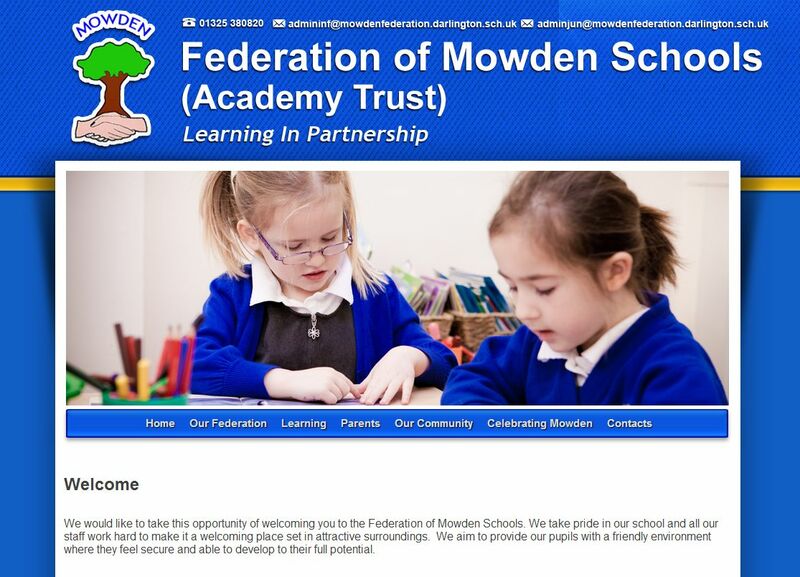 The Federation of Mowden Schools’ website uses a bespoke School Jotter design, created by Webanywhere’s design team. Ask us about creating a bespoke school website design for you by clicking here. Take a look at The Federation of Mowden School’s website here.